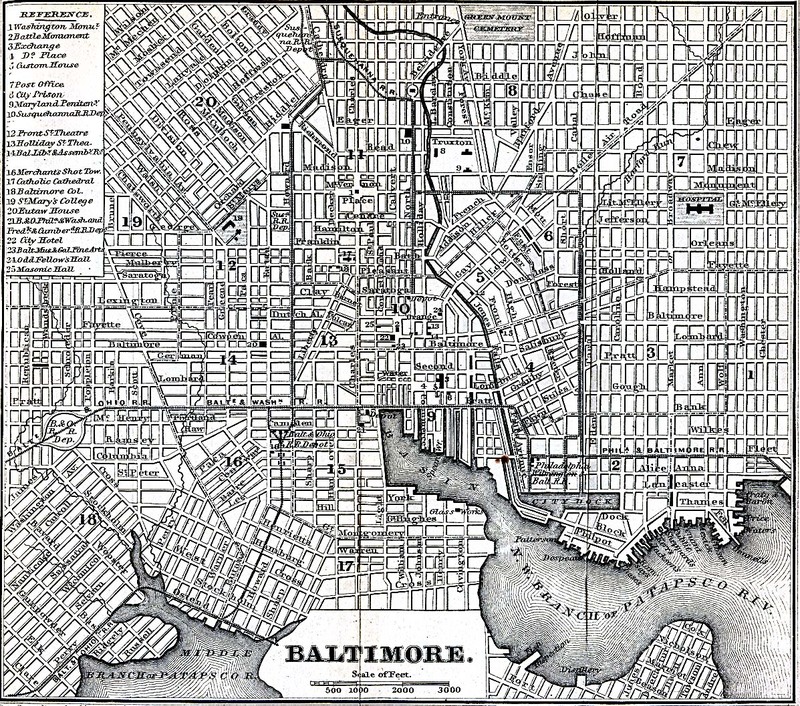 Today is a holiday in the City of Baltimore. It’s not the usual thing for a holiday to be on a Thursday, but… wait; is today Thursday? Who cares! It’s a holiday. A high holy day. A high holy week. And by week, we mean like 2 weeks. Eleven days to be exact. Today marks the opening festivities for the third annual Baltimore Beer Week with the Star Spangled Banger Parade kicking off at high noon. 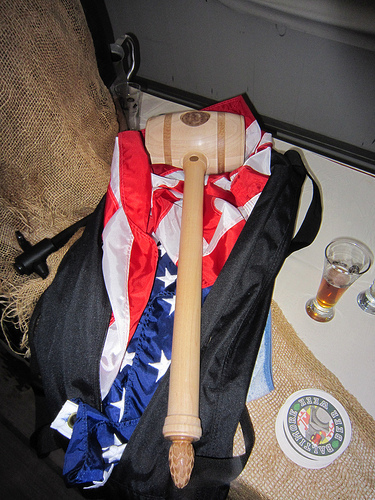 They’re going to muster up at Fort McHenry with the eponymous banger, a giant ceremonial cask-cracking mallet. The parade itself is somewhat, er, ambitious; rivaling this Spring’s Schaefer Tour in terms of scope. The Star Spangled Banger... a mighty symbol of Baltimore's thirst for liberty. The liberty to drink beer, that is. Billed as a walking pub crawl, the parade begins in Locust Point, but includes stops as far-flung as Alonso’s, Grand Cru, and Canton. We’re kind of dubious that people are walking that far for a pub crawl. Carrying a giant mallet all those miles would be part barhopping, part Olympic torch relay, and part Stanley Cup showoff fiasco. We wouldn’t be surprised if the Charm City Pedal Mill were somehow involved. For those drinkers not of the pedestrian persuasion, the parade ends at Power Plant Live at 6 pm, where the official opening ceremony will take place and the first firkin of heavy seas will be cracked open. After that, Baltimore Beer Week is pretty much a free-for-all with more than 300 separate events from which to choose. We made the trip to Oktoberfest last year, and it ended up exactly like we said it would. We might even make it back this year, who knows? The truth is that we’re thoroughly incapable of writing one of those elementary school style essays on the theme of “What Baltimore Beer Week Means to Me,” but one thing is certain, with that many events happening, we’re definitely going to sample a few new brews even though we’re decidedly not a beer snob.